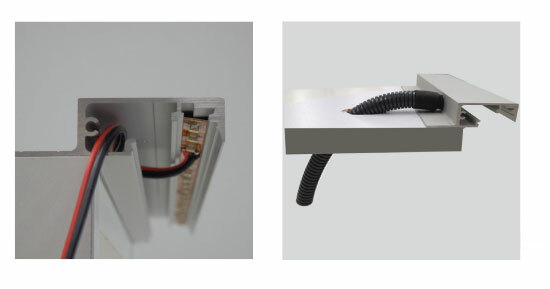 An aluminum linear profile for LED strips. 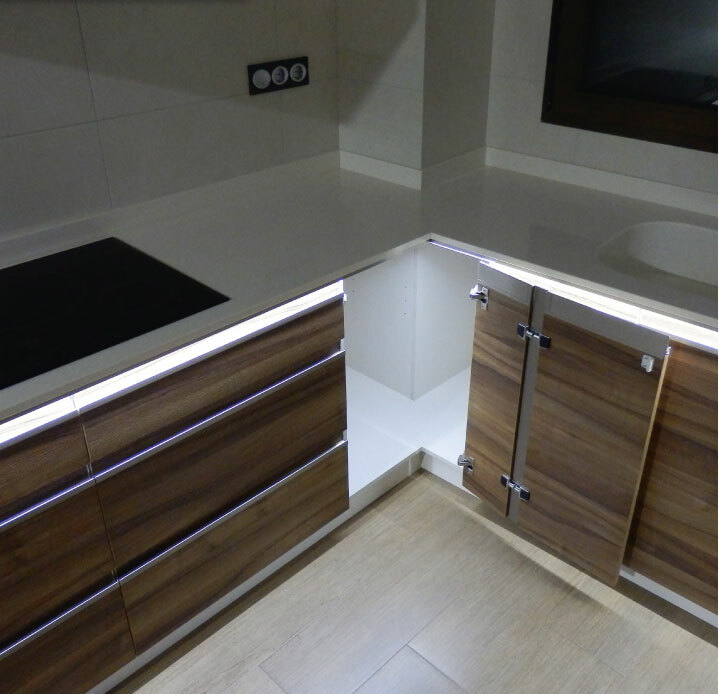 It provides full lighting inside the drawers as well as creates an agreeable atmosphere. 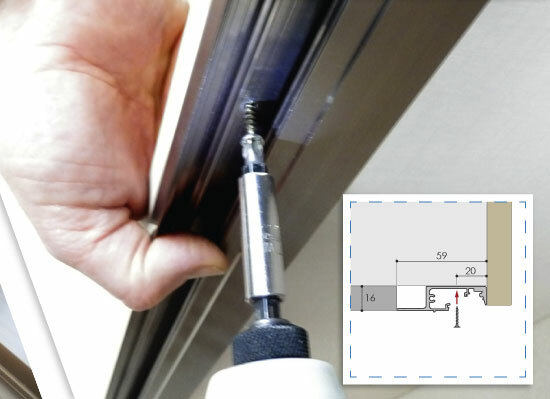 Has a self-indexing stop for aligning with the front of the cabinet and linear marks for an easy screwing. We fit the LED strip by pressing. 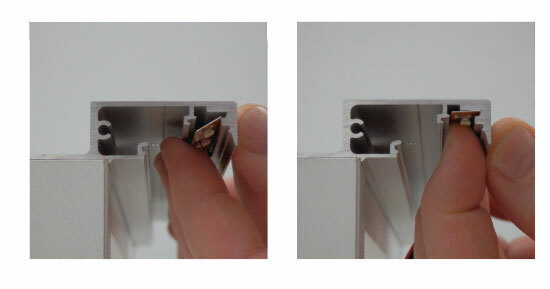 Allows from 8 to 10 mm strips. 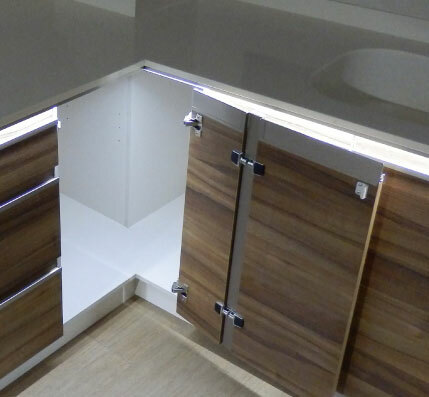 Reinforces sockets aligns cabinetry, sizes gaps measures 16 mm. guiding tube 300 mm. Ø16 mm. 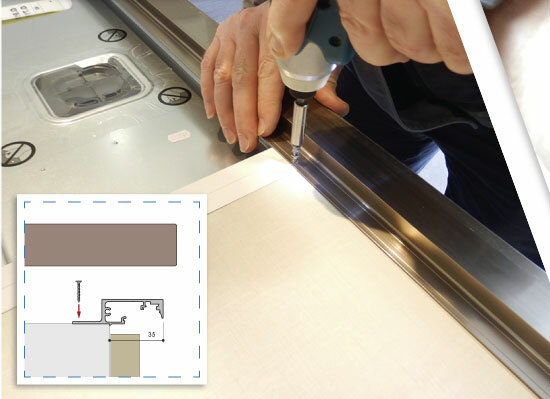 The screen is easily assembled by pressure and we get an accessible system at any time.